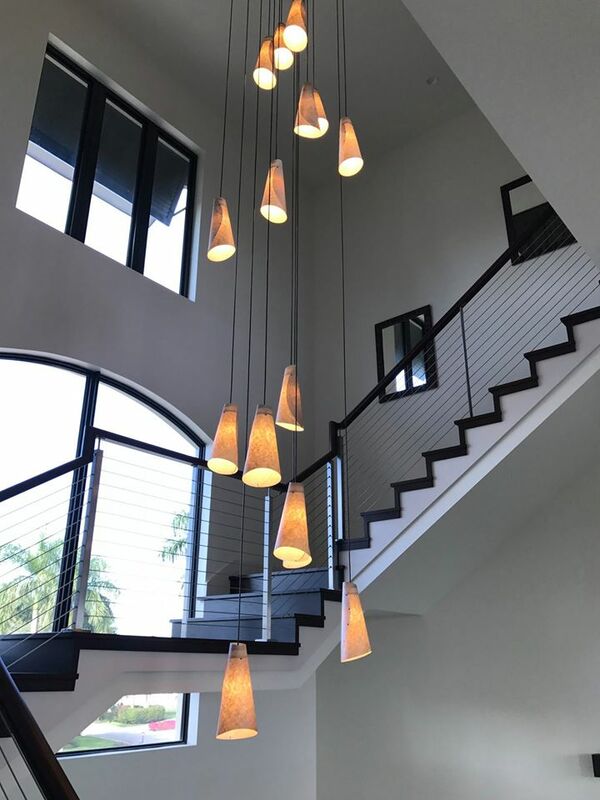 ​The Light Manufacturing Process - Lightcrafters, Inc.
At Lightcrafters we know the idea of locating and purchasing new custom lighting for your home can be overwhelming. There is lots of industry jargon (we cleared up what a wall sconce is), and sometimes you just can’t be sure what it is you’re actually purchasing. We understand that with lots of money at stake you want to be fully comfortable with the buying process and trust that you’re getting the high quality product you expect. To hopefully develop this trust we’re going to provide a walk through of the light making process at Lightcrafters. Remember, everything is crafted by hand from scratch, fully customizable, and shipped virtually anywhere in the world. Wall sconces, ceiling fixtures, you name it. All of our products follow along a similar process starting with the initial meeting with the client and culminating with long-lasting fixtures of the highest quality. The first step of the light making process is most important. Here we strive to establish a relationship with the client (you) and obtain a clear understanding of what you want. In this way we ensure you receive exactly what you want, and expect, in your custom light fixture. 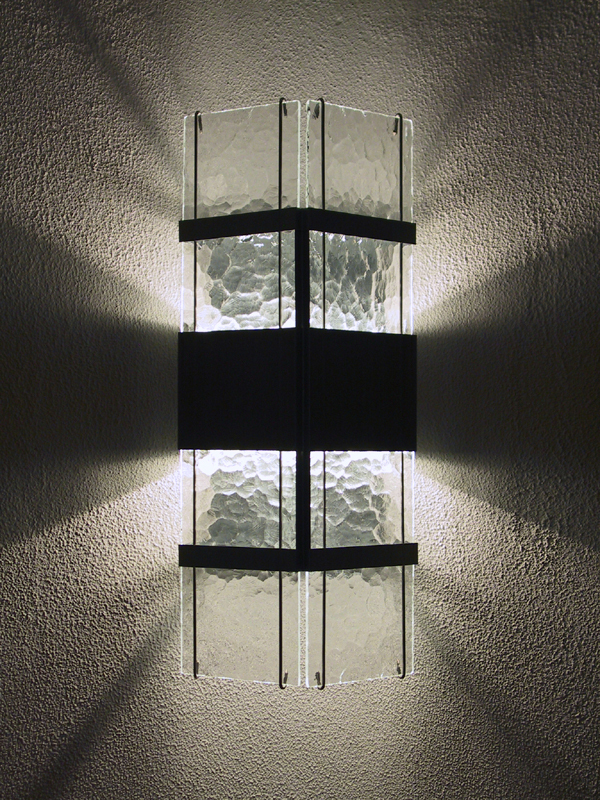 We’ll discuss styles of architectural lighting as well as dimensions and finish. Importantly we’ll also talk about pricing. We truly care about providing the highest quality custom lighting at a fair cost to you. After all the specs are mapped out we create a scale drawing of the piece in relationship to its installation. Only after all this is understood by both Lightcrafters and yourself do we finally lay out the piece so we can begin to shear the materials. Once we know the shape and dimension of your custom wall lights, we can begin to shear the material. Again, all of our products originate from a single large flat sheet of metal, usually copper or stainless steel. If necessary, this is where the metal will be patinaed and/or hand-burned with a tiny torch to give the material a unique, antique finish. Once the metal is fully sheared we can begin to craft the custom lighting specified by the customer. We will begin to bend the metal into the shapes we need, solder join the pieces together, and carefully clean the metal and apply multiple layers of patina if not completed in the previous step. After the custom lighting is completely put together we thoroughly clean the piece, apply layers of patina and seal the piece with the appropriate long-lasting lacquer to ensure it’s long lasting integrity and beauty. Any diffuser such as glass or mica comes next. The last step before the product is completely ready to be shipped is to lamp the fixture according to appropriate electrical practices using UL listed parts. Finally to ensure you receive your quality handcrafted custom lighting as quickly and seamlessly as possible we carefully package and ship your order. Based in Austin, Texas we ship virtually anywhere in the world. Typically we ship orders within three weeks but rush orders can generally be accommodated.